It’s no secret that I have an undying love for fresh cranberries. 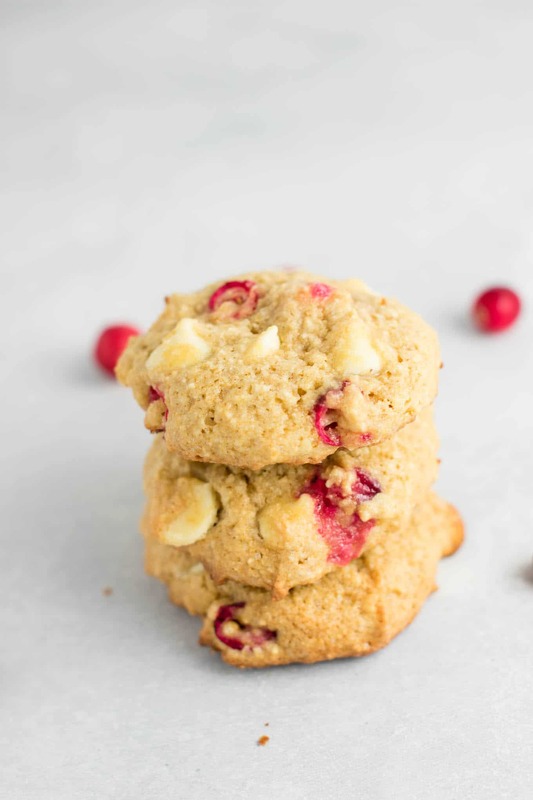 These cranberry white chocolate chip cookies are on my holiday baking list every year! Growing up, I never ate fresh cranberries, and I don’t remember any holiday desserts using them. I never knew just how much I was missing out until a few years ago. Now I am the person stalking the stores for the first fresh cranberries of the season! From cranberry eggnog bread to cranberry sauce, and so much more, I can’t get enough. 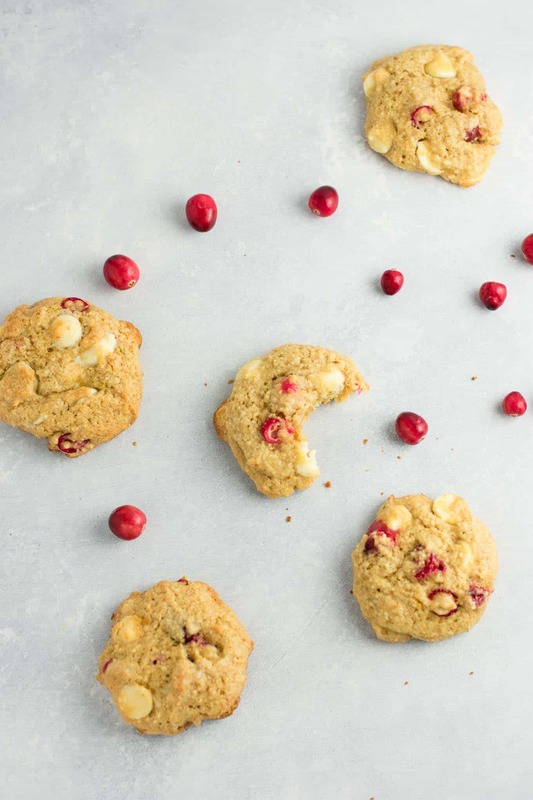 Fresh cranberries are tart and juicy and add such a delicious pop of flavor to seasonal recipes. These cookies are made slightly healthier thanks to lighter ingredients like applesauce and coconut oil. In a separate bowl, beat sugar, olive oil, melted coconut oil, applesauce, vanilla extract, and eggs. Add dry ingredients and beat to combine. 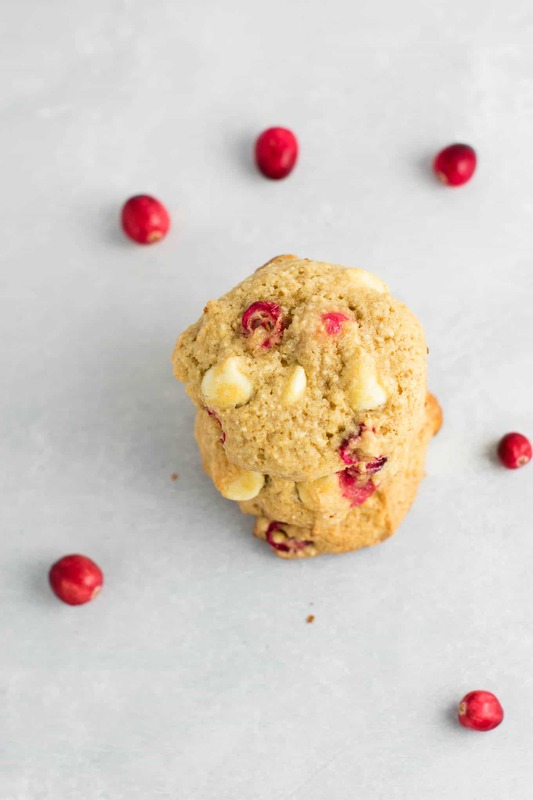 Fold in chopped cranberries and white chocolate chips. 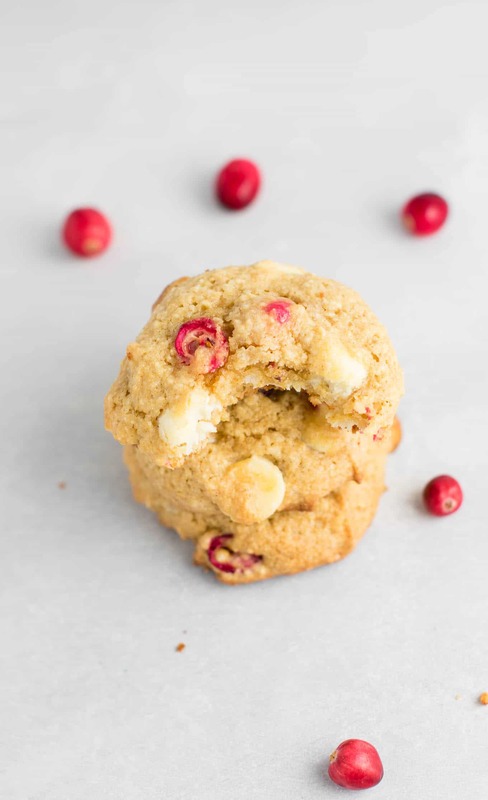 If you haven’t yet tried fresh cranberries, these cranberry white chocolate chip cookies are a great place to start! These cookies are soft and chewy and filled with better for you ingredients. 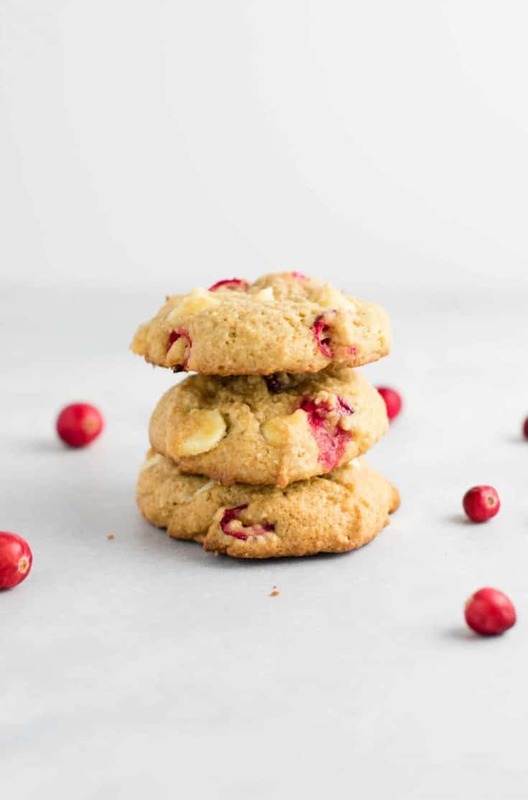 Cranberries add so much tart sweetness to every bite. I am not calling these healthy, but they are definitely healthier for you than other Christmas treats you could make. 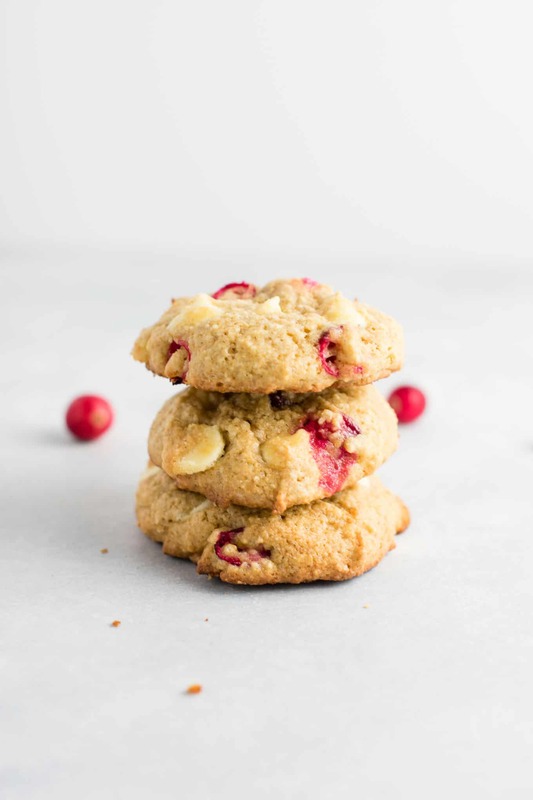 I love cranberries and white chocolate together as they contrast perfectly. 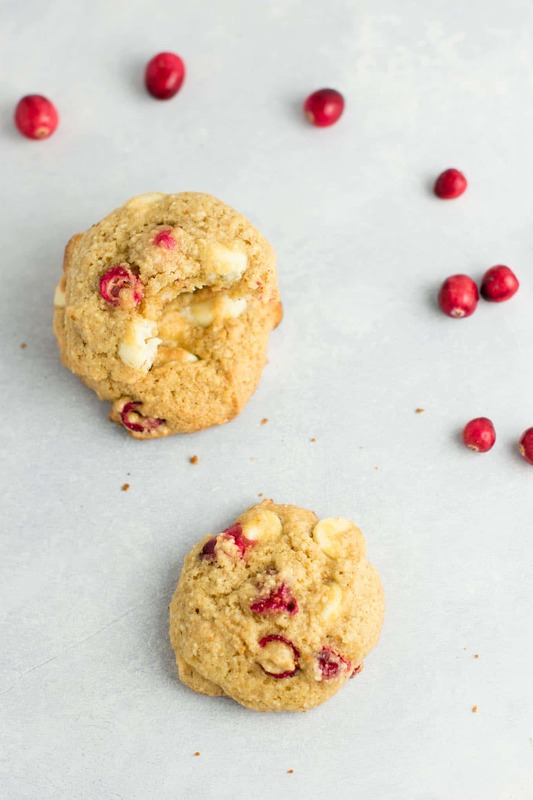 Cranberries are tart and white chocolate is overly sweet, so the two together balance so well! 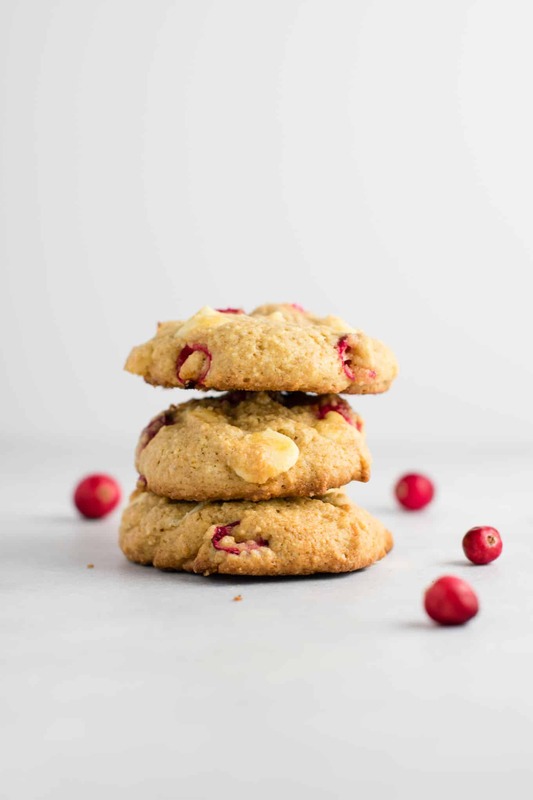 A mixture of oat flour, coconut flour, and whole wheat pastry flour makes these cookies chewy and soft and decadent. 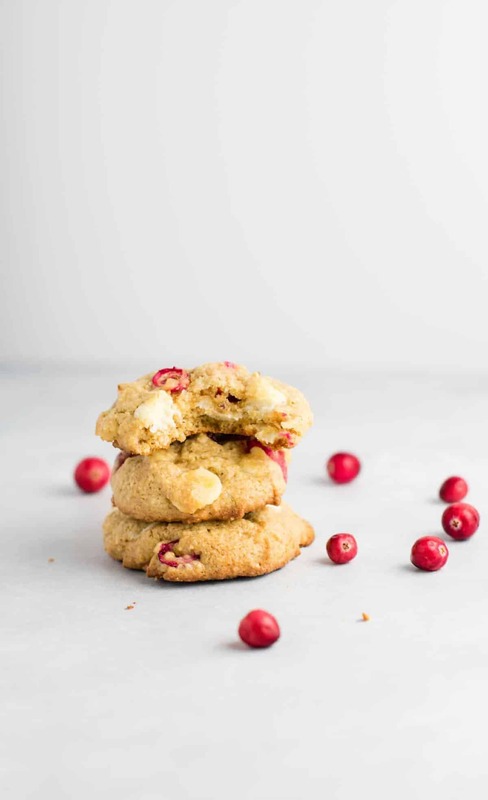 Cranberry and white chocolate were meant for each other, and make for a tart and sweet holiday taste in these cookies. This would be a great recipe to bring for a hostess gift or to give as a gift for Christmas. I bought a cookie tin and gave half of the batch to my dad for his birthday present. 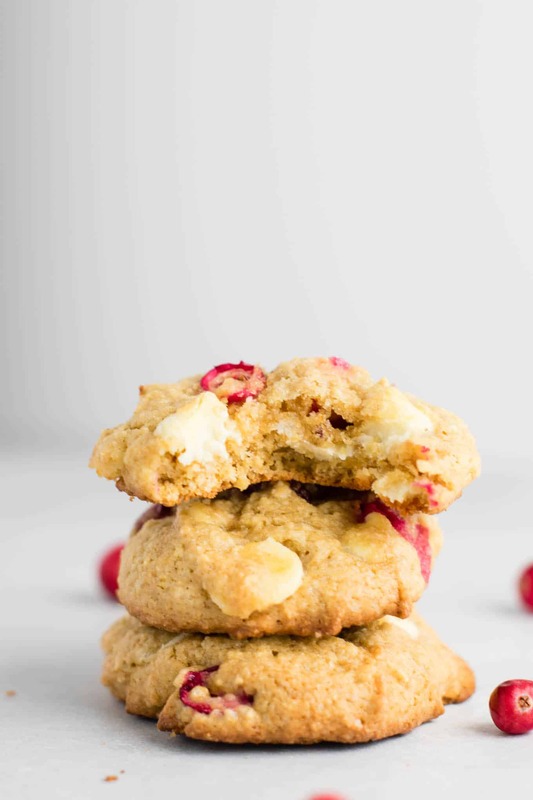 I’m normally not a big fan of white chocolate, but I make the exception for when it is paired with cranberries. I love the texture and the sweetness level is sweet without being I-just-got-a-cavity sweet. Definitely a must try this holiday season! 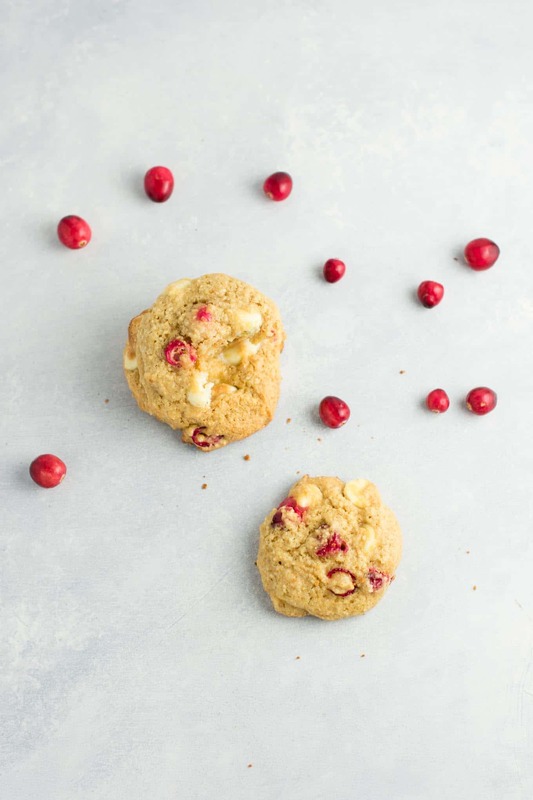 Looking for more delicious ways to cook with fresh cranberries? 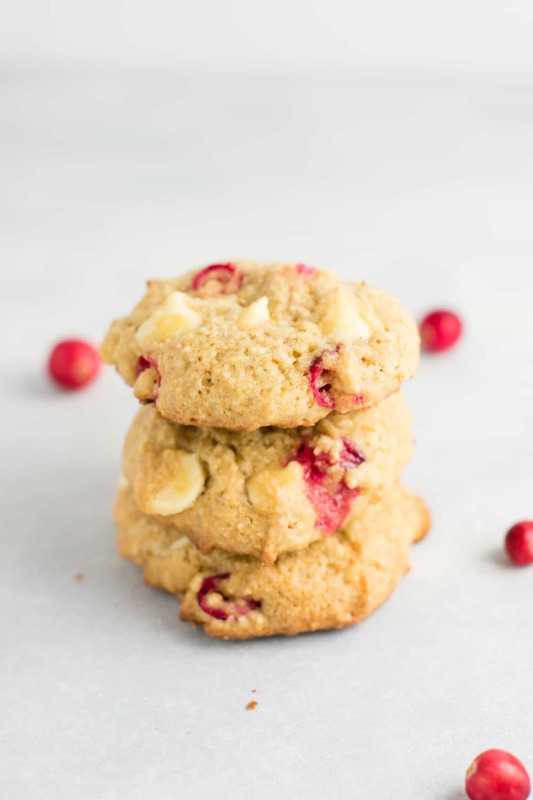 I love fresh cranberries, and they are perfect in these cookies!